Dos Carlitos Restaurant & Tequila Bar (Est. 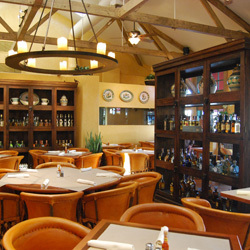 2009) offers inspired Mexican & Latin cuisine handcrafted from the freshest ingredients. Dos Carlitos was conceived from a long-standing desire to bring Santa Ynez Valley the bold flavors and lively ambiance from sibling restaurants Carlitos Café y Cantina in Santa Barbara (Est. 1979) and Cava Restaurant & Bar in Montecito (Est. 1997). Voted “Best Restaurant in Santa Ynez Valley" & "Best Happy Hour". We source 100% Organic, Grass-fed Angus beef & Free Range, Hormone-Free Chicken. Dos Carlitos is a proud member of the Sustainable Seafood Program.